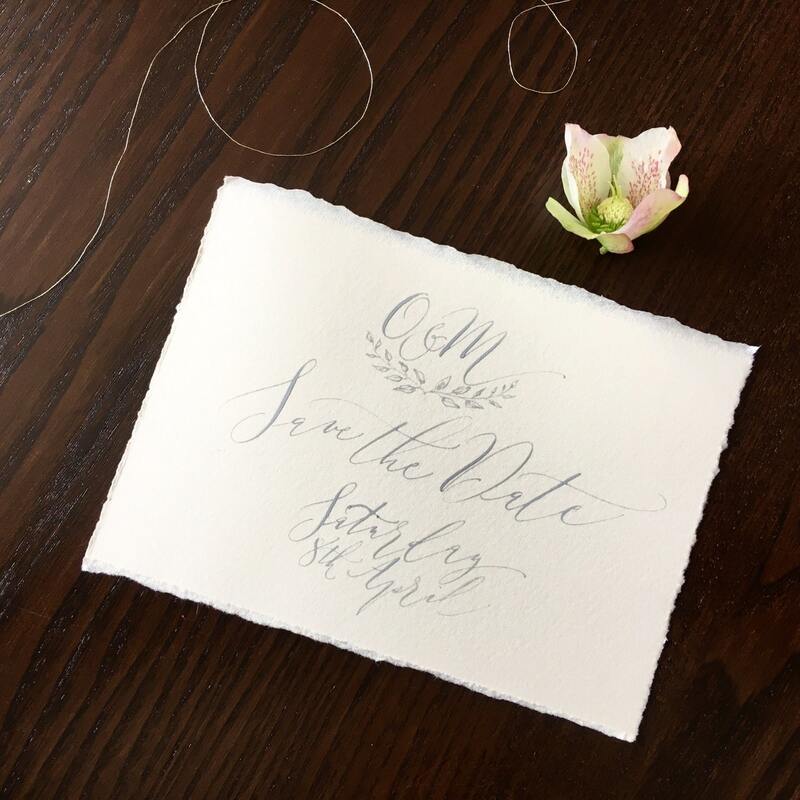 A simple, beautifully handwritten calligraphy Save the Date on luxe torn edge paper. 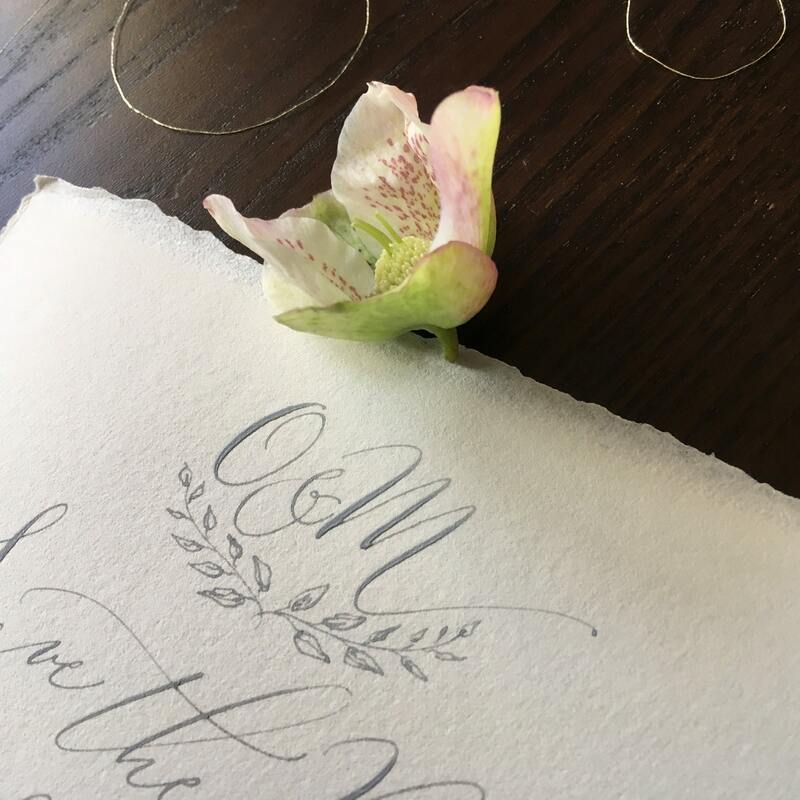 Every word is handwritten; every letter is carefully crafted to present the loveliest boho luxe stationery for your intimate wedding. 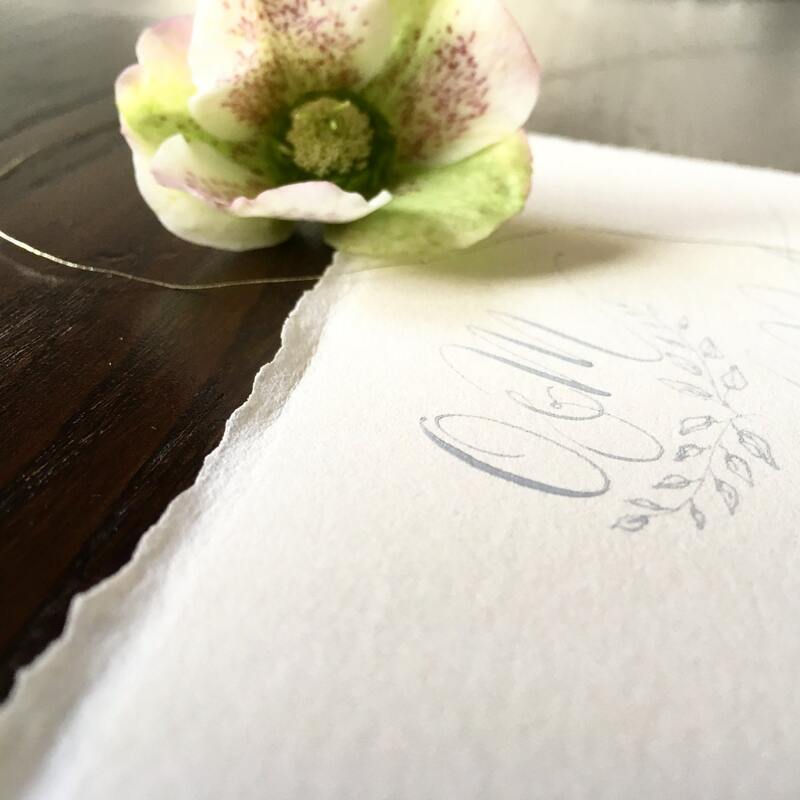 Hand torn paper gives an intimacy and softness to your invites. They're perfect for a relaxed, informal or rustic celebration with a contemporary edge. Calligraphy is written in dove grey ink with a traditional dip pen and metal nib, in a flowing contemporary script. 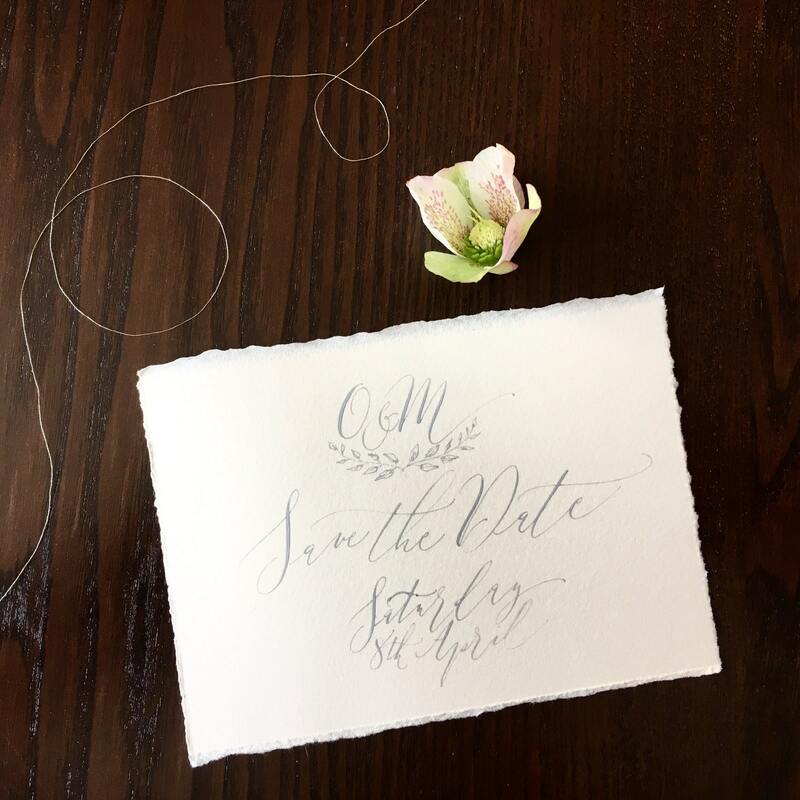 Please provide your wording for the Save the Dates. We suggest a monogram of your initials, then your names, Save the Date and the date of your wedding. You can also include a note to say invitations will follow. Each card has room for up to 20 words (written one side only), and up to 7 lines of writing. Cards measure approximately 100mm x 75mm - Please note this is not an exact dimension, as the invites are made by hand and not precisely cut. For handwritten envelopes please ask!